Create outstanding presentations quickly and efficiently! 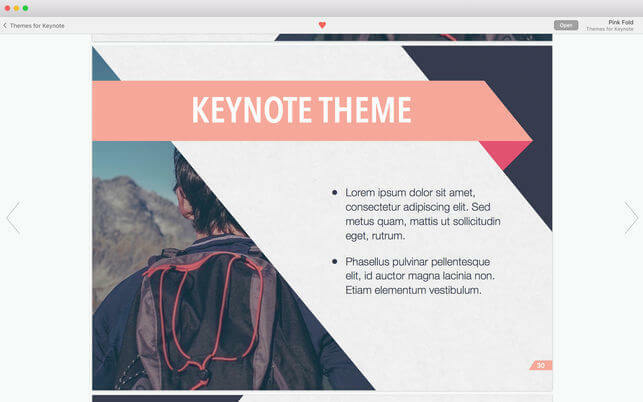 Theme Lab for Keynote makes presenting your ideas easier than ever. 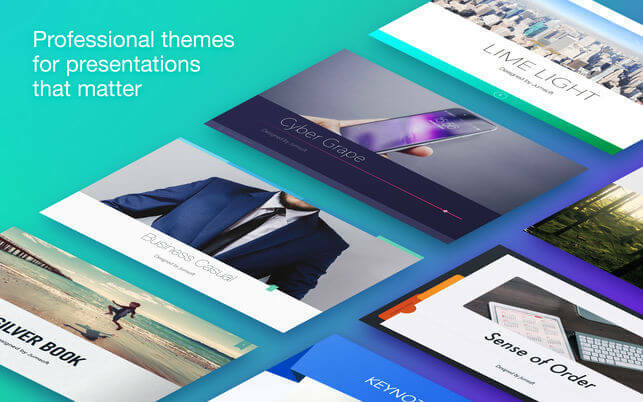 With over 100 professionally-designed and structured themes, you get unparalleled freedom to turn your ideas into winning presentations! 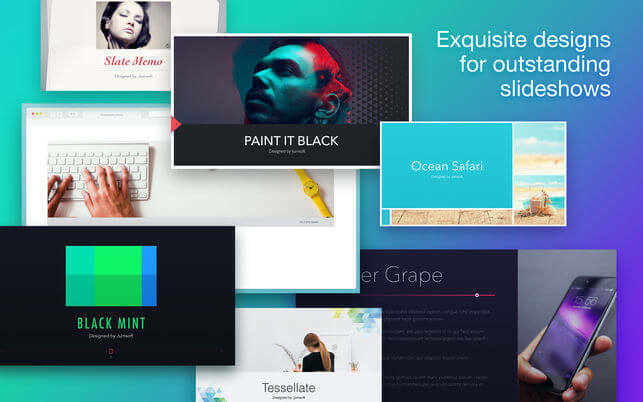 All themes inside Theme Lab for Keynote have at least 32 master slides, offering a comprehensive selection between text- or image-based slides, as well as lists with custom bullets, matching tables, data charts, and much more. Every theme is available both in Standard (4:3) and Widescreen (16:9) ratios. All themes are designed to allow effortless yet powerful customization using the standard functionality available in Apple Keynote. Every object can be resized, recolored, reshaped, moved or removed. Change backgrounds into colors, gradients or photos, easily add or remove text boxes, customize fonts, or insert your own images into convenient placeholder! Become the master of Keynote with Jumsoft’s Theme Lab for Keynote! * Requires Apple Keynote 6.0 or later. Content management improvements to speed up new content downloads.